It is estimated that the lintel stone weighs 18 tons. 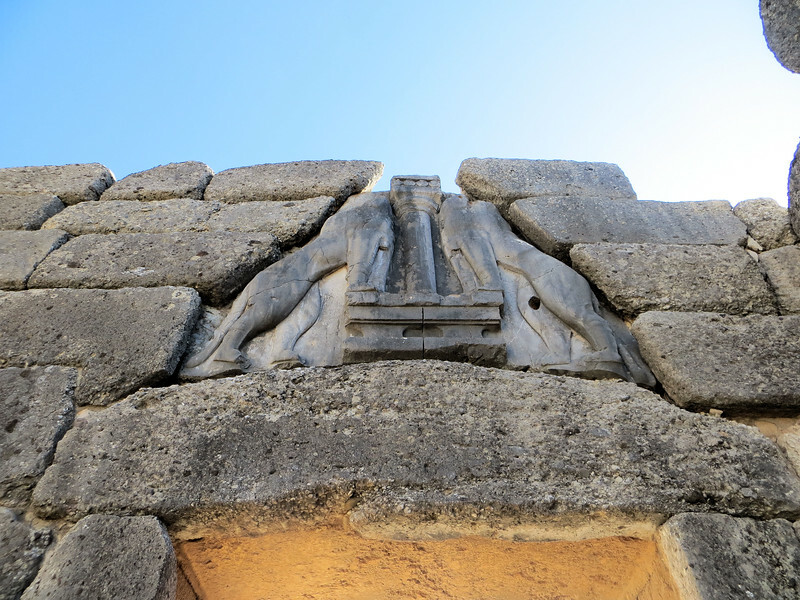 The construction over the door lintel is characteristic of Mycenean architecture. The blocks of the wall are so placed that each projects a little farther out than the one below it, thus creating an empty triangular space over the lintel. This is known as the "relieving triangle." This relieves the lintel from the weight of the heavy wall above it. The relieving triangle of this gate, of course, is filled by the lion sculpture.